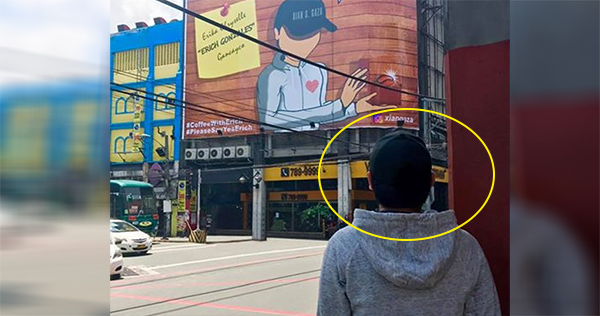 LOOK: Courageous Guy Rents Giant Billboard to Ask Erich Gonzalez For a Coffee Date! Strolling around in different streets, you can really see beautiful, big and giant billboards. These billboards are actually advertising some products and works available. Mostly, all you can see are the popular and known artists advertising them. But what if you would see such a different kind of proposal on a giant billboard? Recently, everyone were really amazed of the effort done by a guy to one of the actresses of ABS-CBN. 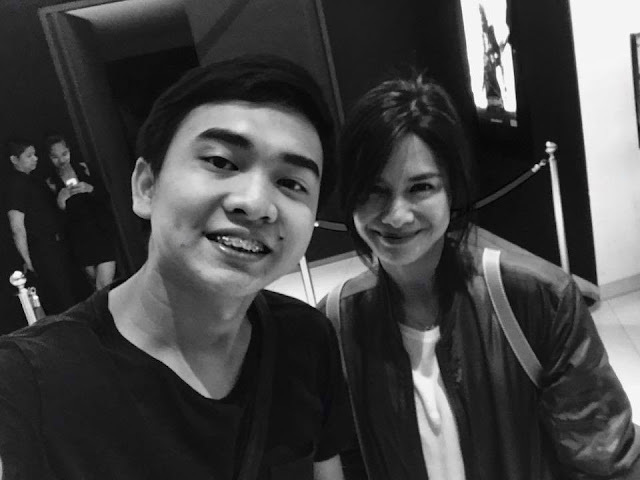 Erich Gonzales must really be so lucky to have a charming beauty that everyone might just fall in love with her. It was this guy named Xian S. Gaza who made a very expensive effort to approach her. According to Rachfeed, Xian Gaza has actually has a crush on her and had the chance to meet her at a mall. He then made up his courage to approach her and take a selfie with her. But the sad thing is, he wasn’t able to ask for her contact number. And his numerous attempts to personally reaching out to the actress actually failed. 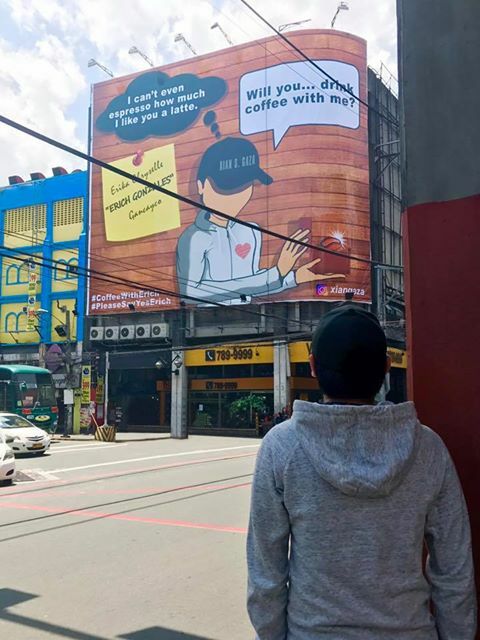 So, with great determination to meet her personally again, he put up a giant billboard at Morayta in Manila with a cheesy and sweet message on it, “I can’t even espresso how much I love you a latte.” and inviting Erich to have a cup of coffee with him. As recalled, Xian S. GAza is the millionaire businessman who silenced a net worker’s power moves in a recent viral post. He is the president and CEO of Guanxiqian Group, a company based in Hong Kong that deals with hedge funds. This post of him #CoffeeWithErich proposal has gone viral and this could already reach the young star. It’s good if they had met and knew each other personally. Everyone hopes for the good news after this. Love the courage? Let’s help him by sharing his effort for it to reach Erich Gonzalez.